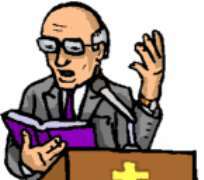 ’LANDLORD’S CHILDREN DROP DEAD IN TRAGIC PRAYER SESSION’… Pastor too. The joy of Ubong Enah Willie, a native of Ndoneyo in Onna Local Government Area of Akwa Ibom State Nigeria, having completed his house suffered a fatal blow as tragedy struck his family and the team of prayer band invited to dedicate the house. In the course of dedicating the house, two of Ubong's children mysteriously dropped dead, while a pastor lapsed into coma, which ultimately took his life. Other members of the prayer band sustained serious injuries. Ubong, a spare part dealer explained that he had managed to make some savings from his meager income with which he purchased the land on which he built the house. He revealed that he bought the land against prior warning by some men of God that he consulted about the dangers inherent in procuring the land and building on it. Tired of being hounded by landlords, Ubong said he over a period of time succeeded in erecting a 3-bedroom apartment on the said land. Amidst savouring the joy of having become a landlord, Ubong explained that as a devout Christian, he invited a team of prayer warriors to cleanse the house of demonic and satanic powers and presence. Convinced of their divine anointing to uproot satanic powers, he said the pastors swung into action, binding and casting out demonic forces with him and his family members in attendance. However, midway into the prayer session, Ubong said the whole exercise changed, and tragedy struck. According to him, he said that just as the prayers were going on, evil spirits invaded the building, shutting the doors and invincibly hitting everybody present with what was like a hammer, killing two of his four children instantly an leaving his wife and others seriously injured. The pastor who led the prayers, he said died few days after while another member of the prayer team till date has lost sensation in his right hand. In his own words, the embattled Ubond said: “I bought the land with my hard earned money although I was warned against buying it. After the purchase, I went ahead to start building on it. At the end of the day, I was able to put up a 3-bedroom apartment. As a Christian who believes in committing everything into the hands of God, I invited some pastors to come and pray over the house before we move in. Bassey Monday Udoh, another member of the prayer band explained that their mission to pray over Ubong's new house was not the first time he would go out for such. As if the cruel blows he received were not enough, Ubong, who was still dazed by the incidence that still defies comprehension and still mourning the demise of his children and his beloved pastor, was in for another shock when the community accused him of killing his children and the pastor for money rituals. Aside the pain of having lost his beloved ones, the community's allegation festered the sore in Ubong's heart as he faced threats of various forms, including banished from his fatherland. With his whole world apparently crashing, the saying that failure is an orphan dawned on him. Despite losing his children and his pastor in a prayer session, Ubong's faith in his creator remained firm. Without any one to lean on, he solidly believed that his God was capable of setting him free. With this conviction, he left his home town for the Synagogue Church of All Nations (SCOAN) in Lagos. At SCOAN, he recounted that while Prophet T.B. Joshua was prophesying, he mentioned that there was a man present at the service who was alleged of murder and asked such person to come out. While away in Lagos seeking spiritual help, Ubong's community back in Onna had gone to consult witch doctors to ascertain his culpability in the ugly incident. He was absolved of the allegation by the various oracles consulted by the community. Without prior knowledge of Ubong's visit to the SCOAN, the community head, he said put the oracles' revelations aside and said he would have to hear from Prophet Joshua before he could accept that Ubong was not responsible for his children and pastor's death. Thus, he arranged that a delegate from the community, the pastor's family members and Ubong visit SCOAN. Prior to that, the late pastor's son who was said to be violent had threatened to avenge his father's death by killing Ubong in return. After some appeals from the community, he was said to have rescinded his decision but demanded that Ubong should pay the sum of N4million for his father's burial. A bloody clash which would have ensued as a result of the crises was averted when the whole party involved in the crises visited Prophet Joshua. Meeting with the late pastor's family and the community head's delegate, Prophet Joshua informed that Ubong was innocent of the murder allegation leveled against him. To save the insolvent Ubong from being further hounded because of the huge sum the late pastor's son demanded for his father's burial, Prophet Joshua gave the family a sum of N500,000 and went ahead to assure the widow, Comfort Kiddy of his support for the upkeep of the family. The widow had also requested that Ubong should be responsible for her mother's burial which she said the late pastor was supposed to do before his untimely death while praying at UBONG'S NEW HOUSE. Propitiated by the Prophet's intervention and benevolence, the late pastor's son, Victor said that they were convinced that Ubong was not responsible for his father's death and assured that peace would reign hence forth.